Ever since leaving Orphaned Land, Yossi Sassi seems to be more productive than ever. In fact, now that he only has his own band to mind, it looks like the last obstacle was broken down and he’s really not holding back anymore. How else can you explain the sound of ‘Roots And Roads’? Not only is the Israeli string wizard bringing east and west together again with a musical scope that borders on the incredible, it’s also the heaviest and most song oriented record he has made under his own name yet. A progressive work in the truest sense of the world. 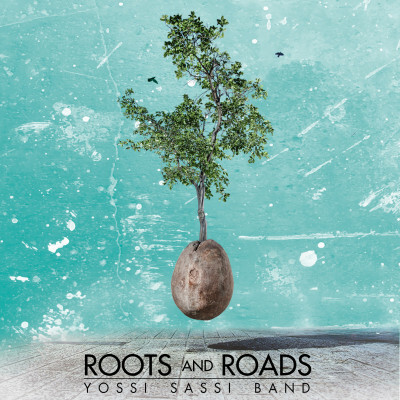 Once again, ‘Roots And Roads’ finds Sassi and his excellent backing band combining the traditional music of the middle east with progressive Rock and Metal. There’s a distinct difference between this album and its predecessor ‘Desert Butterflies’ though; where that record focused mainly on instrumental works, about half of this one features vocals. It’s not like Sassi has toned down the sound of his band – quite the opposite actually – but there does seem to be a greater deal of memorability here. His instrumentals were always fairly well-written, but the melodies really have a way of getting stuck in your head this time. ‘Roots And Roads’ features an impressive list of guest musicians. And while some of them really put their mark on some of the tracks – Harel Shachal’s clarinet on the enchanting ‘Winter’ is mindblowing, while Ron ‘Bumblefoot’ Thal yet again makes an appearance in the awesome ‘Palm Dance’ – it is Sassi himself who steals the show. If he’s not churning out powerful riffs and passionate leads, he’s rocking the bouzouki, saz, oud or chumbush like no one before or since. When those instruments appear, they usually carry the melody – ‘Root Out’ and opening track ‘Wings’ are the most obvious examples – which makes sense, given the pioneer status he has when it comes to incorporating Middle-Eastern elements in Rock music. Another thing Sassi has done really well on this record is using many different vocal styles throughout the album. The line-up of his band has a male singer in himself and a powerful female singer in Sapir Fox, although the similarly-voiced Diana Golbi lays down the best performance on the record in ‘Root Out’. Myrath singer Zaher Zorgati, on the other hand, provides a strong contrast to Sassi’s voice with his Roy Khan meets Mats Levén performance on ‘The Religion Of Music’, marking his second appearance on a masterpiece in 2016. If all that musical brilliance wasn’t enough, ‘Roots And Roads’ has a very pleasant flow due to a perfect sense of climaxes and light-and-shade workings. It’s the final polish on an album that is worth hearing by any music fan all over the globe, which seems fitting, given that it’s obviously Sassi’s mission to break down boundaries and letting the music speak for itself. The musicians are from different continents and so are the musical influences that can be heard throughout the album. And while any other musician would turn such a myriad of influences into an incoherent mess, you can leave it up to Yossi Sassi to make one of this year’s finest records out of it. One of the saddest bits of news from the world of music in 2014 for me was the fact that founding guitarist and main songwriter Yossi Sassi left Orphaned Land. As a big fan of the Israeli Metal pioneers, this was sort of a shock to me; Sassi was almost solely responsible for their instantly recognizable fusion of Metal and traditional Middle Eastern music and therefore, I wasn’t exactly confident about their musical future. I still am not, but at least Sassi is still making fantastic music. His second solo record ‘Desert Butterflies’ is even a vast improvement over his already impressive debut ‘Melting Clocks’. As always, Sassi has recorded the album with a wide array of stringed instruments. And while he has mastered many of them quite perfectly, the most dominant instruments in his arsenal are the guitar – both acoustic and electric – and the bouzouki. 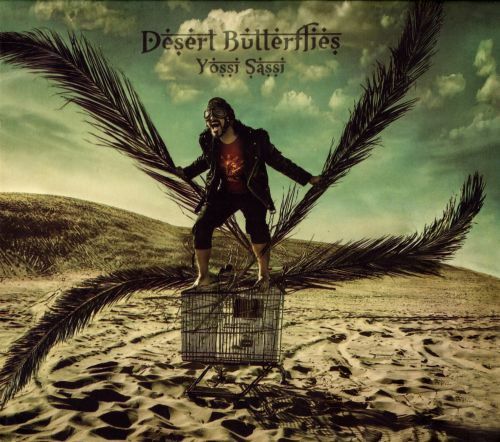 ‘Desert Butterflies’ is also the first record Sassi ever recorded with the bouzoukitara, a double necked combination of the two instruments that he helped design. It’s quite obvious from the beginning why such an instrument was necessary; the material finds Sassi switching between the instruments a lot. Even moreso than with Orphaned Land. It’s not much of a surprise that ‘Desert Butterflies’ continues Sassi’s quest to fuse the musical tradition of his home region with the Rock leanings of the west. What is surprising though, is that Sassi slowly but surely seems to be steering towards a total world fusion. Sure, the oriental themes and melodies are still the most prominent ones, but listen closely and you’ll find references to southern Europe and the far east as well. Plus, the Blues tendencies that were always creeping underneath his compositions are technically African-American Folk music. If there’s one thing that makes ‘Desert Butterflies’ a commendable job, it’s the sheer scope of the material. The album moves from electric tracks with triumphant melodic themes such as ‘Orient Sun’, ‘Azul’ and the uncharacteristically funky ‘Neo Quest’ to more traditional sounding songs as ‘Inner Oasis’ and the beautiful ‘Azadi’ through combinations of the two, such as ‘Fata Morgana’. There are only two songs with lyrics, one of which (‘Believe’, with Tristania singer Mariangela Demurtas singing them) is particularly reminiscent of Orphaned Land’s traditionally flavored ballads. There are guest solos by Marty Friedman and Bumblefoot, but Sassi definitely keeps his signature sound firmly intact even when they appear. Yes, I still think it’s a pity that Sassi left Orphaned Land, but if anything, the band’s very genre specific sound would have proven ultimately too limiting for him. That much is clear when you listen to ‘Desert Butterflies’. The man himself often describes the album as a journey and it certainly feels like one just listening to the album. Not only because of the exotic influences, but also because we hear a musician here constantly exploring his own boundaries and restlessly trying to stretch them beyond what he already has done. Judging from the progress he’s made throughout his carreer, I think the end is nowhere in sight. This year, there has been no album I anticipated more than ‘All Is One’. Israel’s Orphaned Land is the best Metal band of the last two decades, ‘Mabool’ was a work of pure brilliance and ‘The Never Ending Way Of ORwarriOR’ simply a masterpiece. 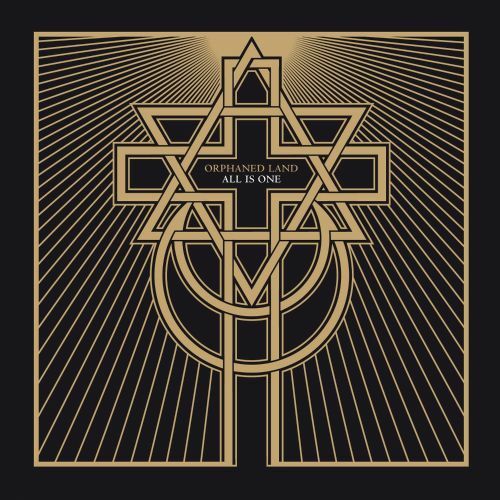 ‘All Is One’ was something of a minor surprise though: while still unmistakably Orphaned Land, the band opted for a somewhat more direct and compact approach this time. And while I loved the complex nature of the album’s predecessors, this is another masterpiece worthy of Orphaned Land’s name. Still firmly intact is Orphaned Land’s infectious melange of progressive Metal and traditional Middle-Eastern music and the bombast present on the previous album is probably even more prominent here, with the Turkish string orchestra and a large choir providing some of the album’s most beautiful moments, but the songs are shorter and somewhat simpler this time. The opening title track, which is very simple in structure, yet incredibly powerful, is the first example of that already. Also, the guitars of Yossi Sassi and newcomer Chen Balbus are a bit more crunchy here and Kobi Fahri has abandoned his death grunt almost entirely (with the notable exception of short bursts on ‘Fail’ and ‘Our Own Messiah’) on this record in favor of his marvellous clean vocals. All this may have been the change Orphaned Land needed. ‘All Is One’ sounds every bit as inspired as its two incredible predecessors did without blandly rehashing it. Also, the simpler structure may serve the band’s message of respect and harmony among all people populating the Middle-East, which is slightly more direct than before here as well. However, it’s not like the Israelis became a completely different band here. ‘The Simple Man’ is exactly what we’ve come to expect from the band and contains some of Uri Zelha’s best bass work ever, ‘Let The Truce Be Known’ and ‘Children’ wouldn’t sound out of place on the final act of this album’s direct predecessor and ‘Through Fire And Water’ is an amazing track that combines Hebrew, Arabic and Latin lyrics in a very Middle-Eastern sounding track. Those songs would be the ones I’d recommend fans of the band to check out first. There’s more however: the mind-blowing instrumental ‘Freedom’ may be the album’s best song, Yehuda Poliker composition ‘Shama’im’ is the fantastic Hebrew song and ‘Brother’ most likely the band’s best and most heartfelt ballad so far.